The Start of it all….. The weekend of October 18th and 19th. We decided to start making cheesecake only a few days earlier and found a couple of events to be part of this weekend and even though we were not ready to sell our product we knew we needed to get the word out about our product and start getting our name out into the public eye so that we will have customers ready when we start to sell. 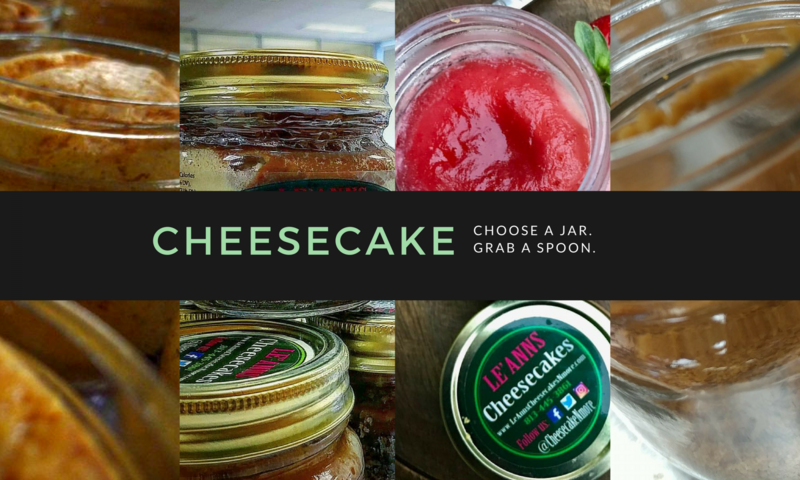 Over the week leading up to these two events we prepared cheesecakes out of our house to sample out because we were still looking for a commercial kitchen to use to prepare our products. These two events were the start and showed us that we had the product that the public wanted to consume. The first event on Saturday was at a local Oktoberfest which we were able to only sample our items even though we were doing more than just our cheesecake and had our Cookies, Brownies and Rice Treats, which we could sell under the Cottage Law for at home baking, we kept it simple to avoid confusion. 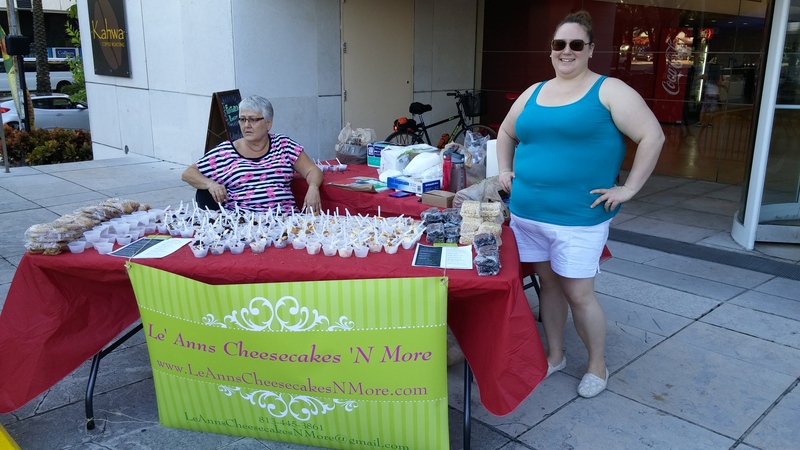 We took a couple of orders that day and were ready to go to our first major market and that was the Downtown Tampa Sunday Market. Downtown Tampa is a great place to meet all the great people that live, work and play in the area. We meet people from as far north as Inverness and as far south as North Port along with age range from the children out with their parents to college students from University of Tampa all the way to the great groups of retirees that retired to Tampa to enjoy the great culture and adventures the area offers. 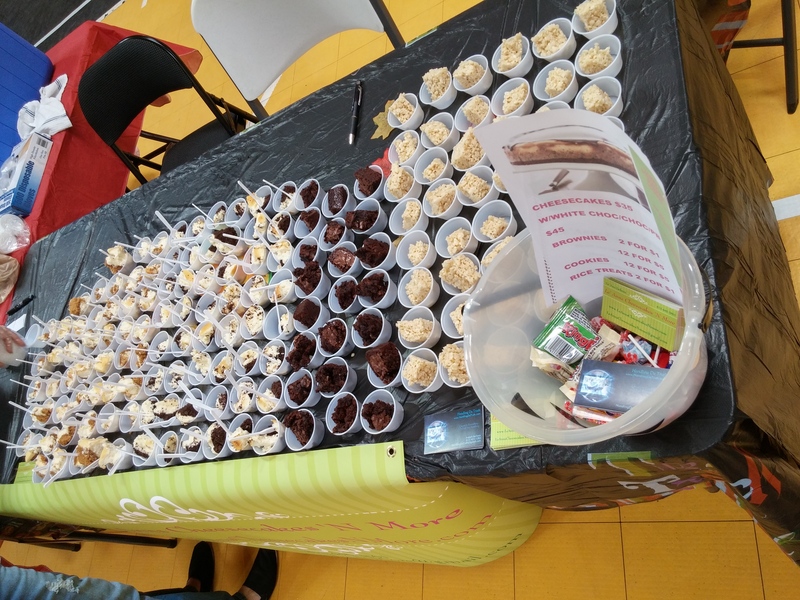 On this Day we brought out our cookies, Brownies and rice treats to sell along with over 1000 samples of our cheesecake which we gave out over the day to great responses!!! As you can see we didn’t even have a tent or cover and barely had any signs to even tell people what we were going but that has never stopped us as we have know we have the drive to make our dream happen. With this great weekend behind us we moved forward to obtaining a kitchen to rent along with all the proper paperwork to be able to sell our cheesecakes to the public and more. Make sure to follow us on Facebook and come into our store in Ybor!!! !